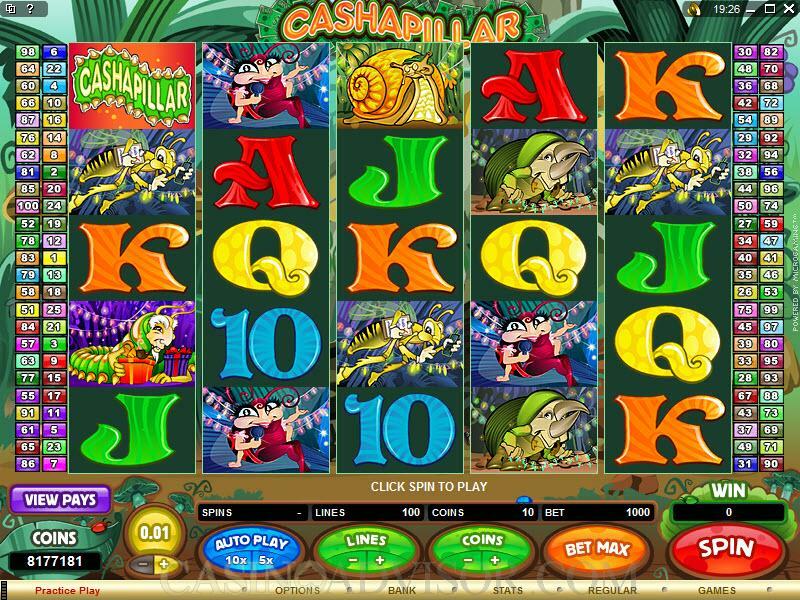 Cashapillar is one of the more imaginative video slot games designed by Microgaming, which is not known for being unimaginative and is in fact one of the biggest names in the online casino software business. 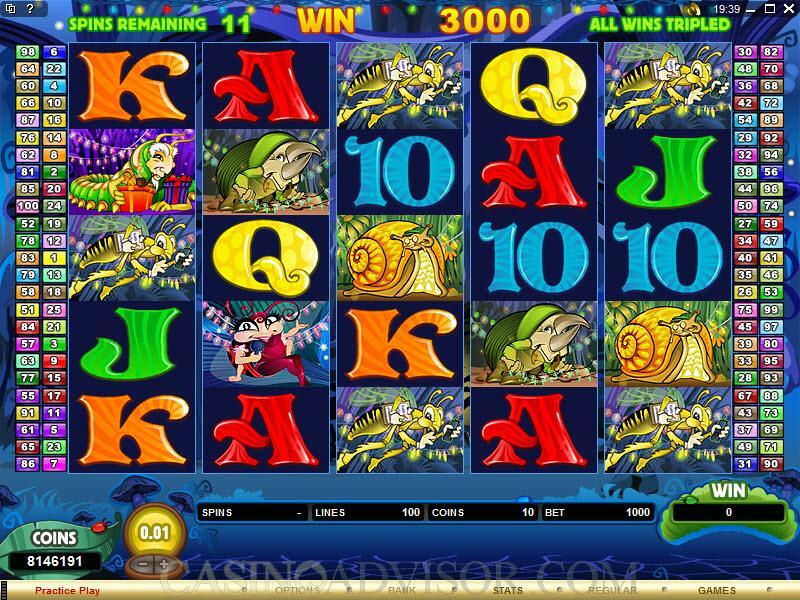 This is a five-reel game where the maximum wager is a whopping 1000 coins. As you see all the paylines that are possible, it is actually quite dizzying. 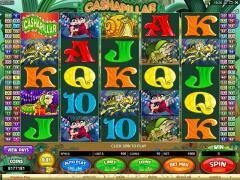 Cashapillar features a wild and a scatter, which kicks off one of the bonus games. There is a Cashapillar symbol that acts as the most valuable in the game, and which will pay off at 1000 coins for five in an enabled payline. The Cashapillar video slot game has a scatter, the Cake symbol, which has the word "Bonus" plastered on it. As a scatter, this symbol can be anywhere on the five reels to complete winning scatter combinations, contingent upon two or more of them appearing. When three or more Cake symbols appear, it ignites the Free Spins Bonus Game. Cashapillar also has a wild symbol, which is the Cashapillar logo. Wilds can serve as a substitute to complete winning combinations for everything but scatters. 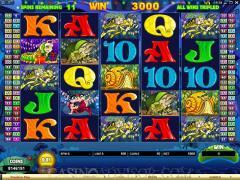 The wild also multiplies the payout for any win that it helps to complete. Cashapillar also employs two bonus games. One of them is the Free Spins Bonus Game, which, as mentioned, is activated by the appearance of three or more Cake symbols (scatters) anywhere on the five reels. The Free Spins Bonus Game gives you 15 free spins and while you're playing this bonus game, all of your wins are tripled. Then you can win an additional 15 spins if three or more Cake symbols appear once again. If the wild (the Cashapillar logo) completes a winning combination during the Free Spins Game, the value of the win is multiplied by six. When you score a win at Cashapillar, the Gamble Bonus Game is triggered, in which you wil be presented with a face-down card and have to guess what color it is - Red or Black. If you are able to guess correctly, you can double your win, and keep doubling until the gamble limit is reached. The minimum coin size in Cashapillar is 0.01, with the maximum set at 0.02. Because of the massive number of paylines (100), the maximum bet in the game is 1000 coins. and you can get this maximum by clicking the orange "Bet Max" button at the bottom of the interface. Interested in reading more detailed information about Cashapillar? If so Click Here for more details.